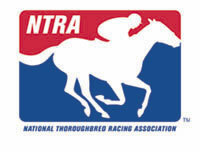 With support from the racing community and members of the NTRA Political Action Committee (PAC) Board – Bill Casner, C. Steve Duncker, Don Dizney, William S. Farish Jr., Thomas Gaines, Lucy Young Boutin Hamilton, John C. Harris, Bob Manfuso and Bob Strauss – the NTRA PAC raised more than $340,000 in 2003. The NTRA PAC was formed to make targeted contributions to federal candidates and political parties. It is funded through voluntary contributions from individuals, who may annually contribute up to $5,000 per person or $10,000 per couple. Over the past year, through visits to numerous Members of Congress and their staffs, as well as nearly $150,000 in PAC contributions to key legislators, we have made substantial progress in building awareness of the Thoroughbred racing and breeding industry on Capitol Hill. We have also grown membership in the Congressional Horse Caucus by 54 percent in 2003. The Caucus, which now includes 59 members from 23 states, enables us to present our industry issues to a wide range of Congressional Representatives whose legislative districts are home to, or impacted by, horse racing and breeding. The legislative process requires patience, preparation and above all, perseverance. When Congress reconvenes, we will again renew our efforts to secure passage of our bill to eliminate the 30 percent withholding tax on foreign wagers and to safeguard our legal, $12 billion simulcasting and account wagering market, which is threatened by opponents of Internet gaming. We will also continue to seek legislative measures that will provide tax relief to horse owners and breeders, as well as the horseplayers whose pari-mutuel wagering dollars support our industry’s infrastructure. With an election year upon us, we anticipate a great deal of PAC activity. Thanks to the support of horsemen nationwide, have built a strong foundation for the PAC and are well positioned to make strategic contributions to federal candidates in the coming months. We begin 2004 with nearly $240,000 in our PAC fund (reflecting contributions from 2002 and 2003), a good head start to an important election year. For more information on the NTRA’s legislative programs and the NTRA PAC, contact Peggy Hendershot at the NTRA (800) 792-NTRA, or e-mail phendershot@ntra.com.